New uniforms! Nothing is more exciting than the first chance to purchase see new college uniforms, especially when they're the result of a two-year Nike overhaul for that "other" Oregon school. Oregon State unveiled the new look last night, so let's dive in. The Oregonian has a photo gallery of the release event, featuring uniforms for football, basketball, soccer, and track. They're "classic and contemporary," according to AD Bob De Carolis. They come in all-white or all-black, with an all-orange alternate to burn retinae. But don't expect anything as bizarre as Oregon's ever-changing palette. "It's not about anything that's going on in Eugene," De Carolis said. "It's about trying to get a consistent look for us that has a little bit of a cool factor. We're going to be plain and simple with the three uniforms. You could do different combinations, but we're going to stay true to what (Nike) gave us." It's a little worrying, then, that plaid is part of the package. Sorry, "tartan." A custom tartan print has been designed to represent the Oregon State Beavers and enrich the overall identity package. The notches in the thick lines reference how beavers use their sharp front teeth to cut down trees, and the white pinstripes are comprised of the Oregon State and Beavers wordmarks. The brand mark received a complete overhaul. Gone is the interlocking "O and S." (An athletics spokesman said too many people confused it for Oklahoma State's logo.) 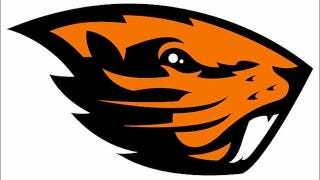 In is the beaver, who will now appear on all helmets and be the school's primary logo. The beaver's changed over the years. He used to be a happy beaver, possibly retarded. In 1997 he turned into an angry beaver. Now? Well, look at that beaver up there. He's...aerodynamic. The shape of the logo is deliberate and fast, capitalizing on the unique shape of the animal's head. Careful consideration was given to the unique elements of the beaver, such as its powerful, iconic teeth, and its smoothly swept back fur coat. 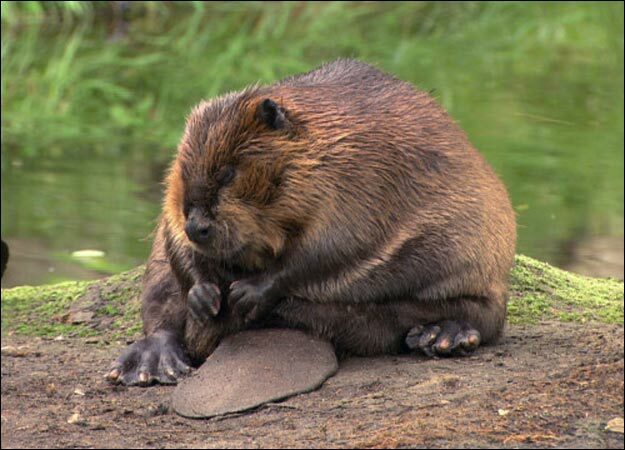 This is what a beaver looks like. A zaftig, fuzzy rodent. The clown prince of the riparian zone. It's not naturally threatening, and some of the most storied college logos have staying power because they didn't try to carnivore up their non-predatory mascots. Think Kansas's happy-go-lucky Jayhawk, or UConn's eager Husky. But kids want to be intimidating, even if crossing those beaver-adorned gloves isn't going to scare anyone.